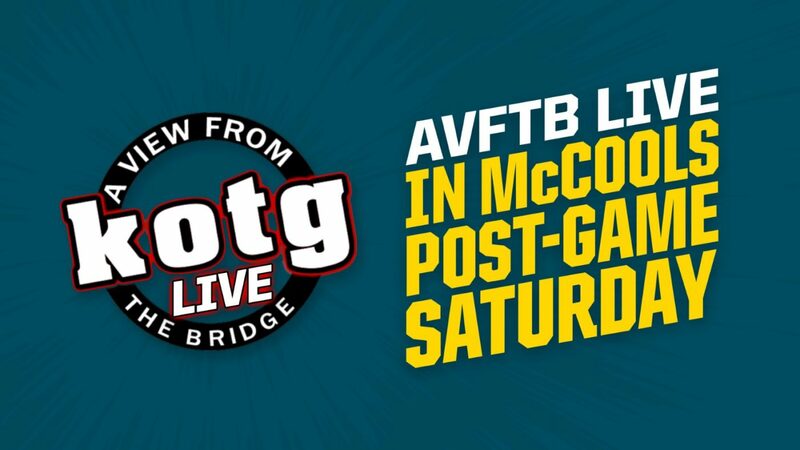 A View From The Bridge LIVE returns to McCools at the SSE Arena this Saturday 12th January, following the Belfast Giants v GKS Katowice game, the second competitive game of the IIHF Continental Cup Final! Patrick Smyth, Davy McGimpsey, Simon Kitchen and Joel Neill will be joined on stage by a number of special guests to reflect on what we all hope to be a successful tournament. PODCAST: #WheresTommy? – This Week’s A View From The Bridge prepares for the IIHF Continental Cup final weekend, reflects on a big weekend of wins over the Steelers and chats with Ryan Martinelli and Curtis Leonard.